Each of the contests consists of direct nomination and vote given by the internet users. This way an independent and objective vote can be performed eliminating the influence of a prejudiced jury which selects the winner. Additionally, an automated computer nomination and vote counting will eliminate any other human interference. The voting is restricted by and IP address and e-mail and every IP address can register one vote only. Everyone can vote by sending a text message, but not more than one per SIM card. 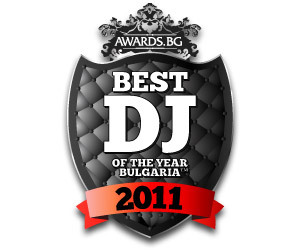 In this stage, the internet users can suggest several Bulgarian DJs, night or disco Bulgarian clubs and nominate their favorites in the different subcategories on the awards.bg web site. The contests in 2011 will start their first stages on 20.09.2011 and will continue until 30.11.2011. In this stage the final voting and selection of winner in each of the subcategories is held. In each of the subcategories in both contests there will be five participants, who collected most nominations in stage 1. The duration of stage two is from 01.12.2011 until 10.01.2012. Gala awards ceremony to the winners in both categories in the contest will be held on 18.01.2012. At the ceremony will be present the best and most beloved Bulgarian DJs, promoters, managers and owners of the most popular and elite Bulgarian clubs, different brands and products representatives, consistently supporting the premium segment in the discotheque business.